Many of the youth in the child serving system, including mental health, juvenile justice, and child welfare, are affected by traumatic events. We know that violence and trauma is often at the center of a youth’s mental health challenges, school problems, substance use and juvenile justice involvement. Even with this knowledge and understanding, when children are referred for mental health treatment, trauma is usually not identified as the primary issue of concern. Due to the common disconnect between the behaviors a child displays and trauma exposure, it is critically important for mental health clinicians to be well equipped to systemically screen and assess for trauma. 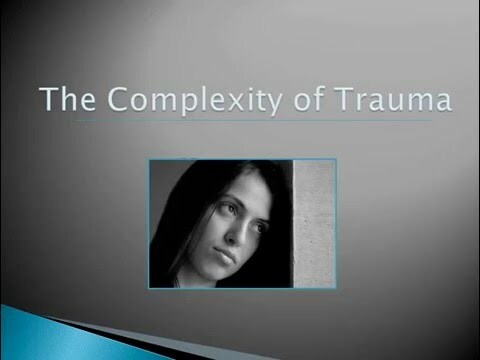 In this webinar, presented by Dr. Elizabeth Meeker, PsyD, participants learned about the complexity of traumatic experiences and the strong effect it can have on a child’s development. In addition, information on assessment tools which can help identify children that been exposed to trauma and then inform treatment(s) will be provided.